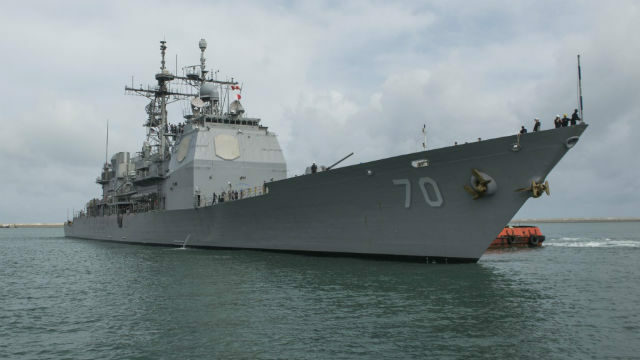 The Ticonderoga-class guided-missile cruiser USS Lake Erie docked in Colombo, Sri Lanka, on Sunday to provide humanitarian assistance in the wake of severe flooding and landslides. Recent heavy rainfalls brought by a southwest monsoon triggered flooding and landslides throughout the country, displacing thousands of people and causing significant damage to homes and buildings. The U.S. Pacific Command will also deploy military aircraft and other specialists who will join in the humanitarian efforts. The Lake Erie left her homeport of San Diego in May on an independent deployment to the Western Pacific.